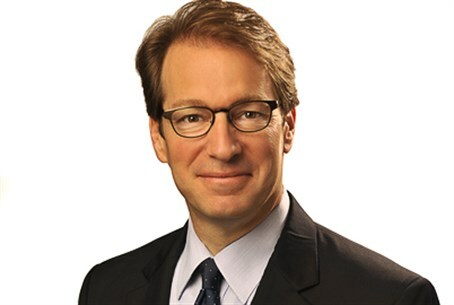 Congressman Peter Roskam (R-IL) spoke on national TV on Wednesday to discuss Congressional opposition to the Iran nuclear deal, after his resolution against the deal got a 218-member majority in the House of Representatives earlier this week. Roskam, who is co-chair of the House Republican Israel Caucus and who has expressed confidence his resolution will achieve a 290-member majority that will be immune to US President Barack Obama's veto, appeared on FOX Business's Cavuto show. He explained that Obama and US Secretary of State John Kerry have made a "flawed argument" in supporting the deal. "Their argument was you either go with this deal or we’re going to war. But all during the negotiations...they said a different thing. They said ‘no deal is better than a bad deal.’ And if you argue no deal is better than a bad deal, then you’re arguing implicitly that there was an alternative. And it’s a false claim now for the White House to say there’s no alternative but war." Indeed, top US military officials have debunked Obama's claim that the only options are the deal or war, noting that alternatives exist. Roskam remarked on Obama's "failure" on Tuesday, when leading Democratic Reps. Nita Lowey and Steve Israel, both of New York, and Ted Deutch of Florida announced their opposition to the Iran deal. "Without a doubt, the Democrats in Congress are going to make the decision on this, and they’re going to have a huge responsibility moving forward. So, three leading Democrats yesterday came out against it, some Democrats are coming out in favor of it." Calling into question Obama's decisions, he added, "look, if the President says trust his instincts, his instincts are wrong. He called ISIS (Islamic State) the junior varsity. His instincts were wrong in Libya. They’ve been wrong with (Vladimir) Putin. And they’ve been wrong all across the globe." Speaking about the problems in the nuclear deal, he said, "there isn’t the 24/7, 365 type of intervention and inspection that would be implicit in any sort of deal. And, in fact, you can’t even get to the Iranians for 24 days - and that’s at the front end with tons of disclosure." Classified side deals likewise stipulate that Iran will inspect its own covert nuclear sites, such as the Parchin army base that has been used for nuclear detonator tests.